On January 3rd Epic Games took to the /r/FortniteBR subreddit announcing that the Revolver and Smoke Grenades would be added to the Unvaulted Limited Time Mode. Unfortunately, Epic Games’ plans fell through and the Revolver was not added to the Limited Time Mode. Last minute complications arose which prevented Epic from adding the weapon to the loot pool. 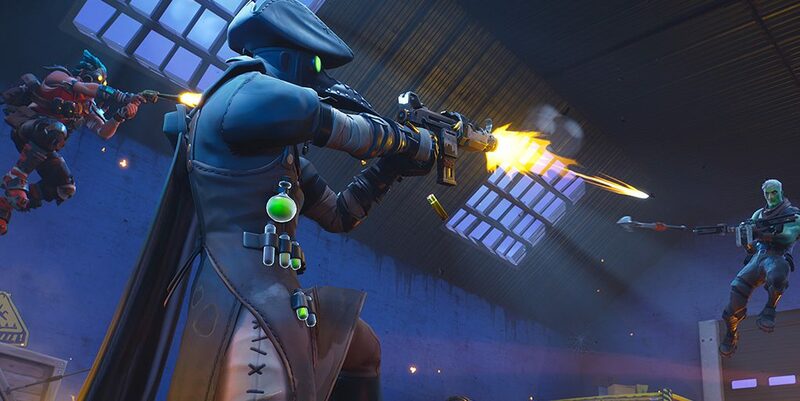 Thankfully, they have assured players that if the Unvaulted LTM is to return, the Revolver will be included. Battle Royale gameplay with a limited set of weapons and items, including a few that have been returned from the vault! /u/MrPopoFTS, Community Coordinator at Epic Games, also made sure to note that they have plans to bring an even larger variety of vaulted weapons to the Unvaulted LTM if it were to return in the future. Yesterday we mentioned that we were adding both Smoke Grenades and Revolvers. Unfortunately, due to some complications, the Revolver did not end up being added. We’ll also be unable to add it for the remaining time of this iteration of the Unvaulted Limited Time Mode. If this mode returns at some point in the future, it’s possible you may see even more variety of Unvaulted weapons and items. What would you want to see? What weapons or equipment would you like to see added to Fortnite’s Unvaulted Limited Time Mode? Fortnite features a wide range of vaulted weaponry which many players never had the chance to use, such as the Zapotron.